War: It’s all about the oil and gas, and who controls (and profits from) it. I was going to write a long article about this, but in my research I found someone else already had done so. 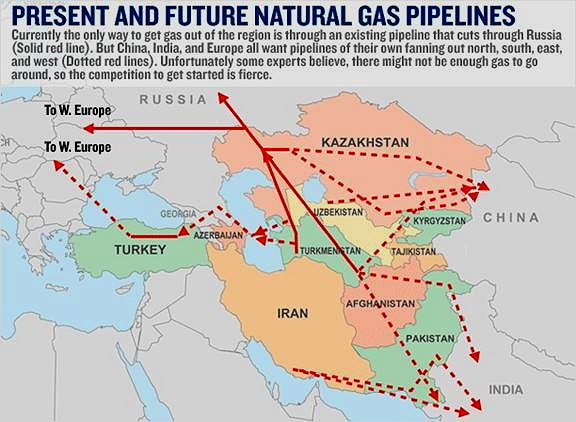 As you can see Iran is very close to the center of a large struggle over whether oil goes east or west, and its sitting on the worlds largest reserves of natural gas and a substantial quantity of Oil as well. Any discussion about Iran must be made in the context of Oil and gas because that is what any possible conflict with Iran will be about. Posted in Collapse scenario, Geopolitics, Long Emergency, Long term, Sudden crisis. Mike Rupert explains peak oil and it’s connections to peak population and the general instability of and oil based world. A personal, sometimes intimate interview, with some archive footage to help explain some concepts and parts of history. Mike’s solution: grow your own food, disconnect from oil and get to know your neighbors. Posted in Collapse scenario, Community, Educational, Energy, Lifestyle, Long Emergency, Long term, Movies, Resourses - physical, Sudden crisis.